The Index continues forming diagonal triangle pattern. It looks like right now the price is forming the fourth wave. Most likely, during the next several days the instrument will continue moving downwards. 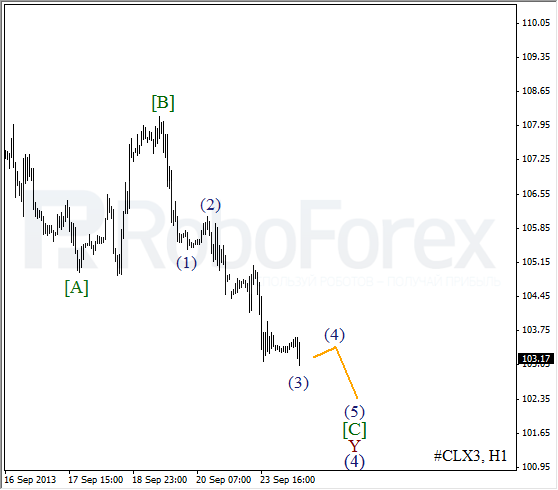 After forming an impulse inside wave (3), the price started a correction. 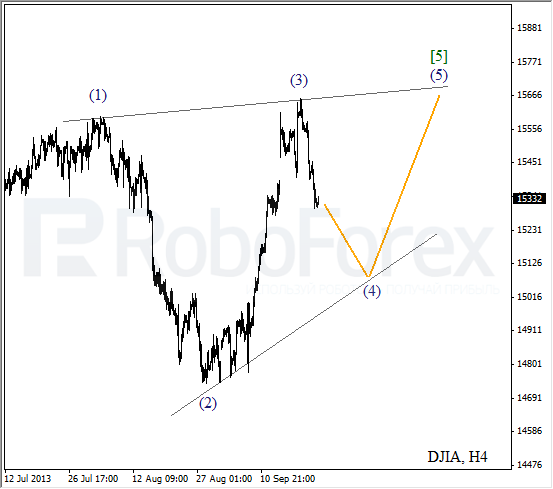 We may assume that the fourth wave is taking the form of zigzag pattern. On the minor wave level, the Index is forming a local correction, after which the bears are expected to start pushing the price downwards inside wave C of (4). 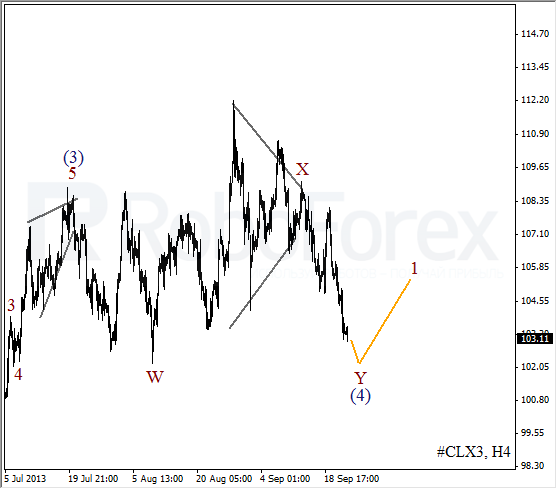 Oil is still forming double three pattern. 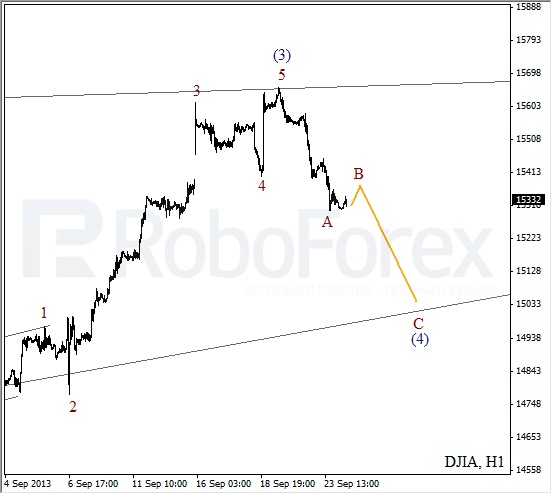 The current chart structure implies that the price may continue falling down. I’ll consider opening buy orders only after the instrument forms an initial ascending impulse. More detailed wave structure is shown on the H1 chart. The price is forming a descending impulse inside wave [C]. It looks like the instrument completed an extension inside wave (3) and, after a slight correction, may continue moving downwards inside the fifth one.